Ben met Santa this weekend and he was a pretty brave boy. Not one tear. 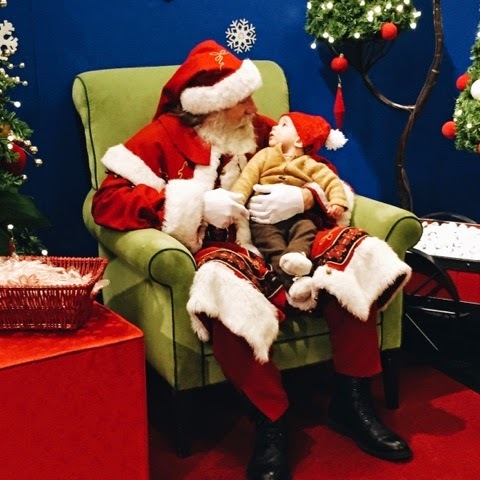 He was mostly transfixed by Santa's beard, and who can blame the kid? That is a pretty legit beard. We did get a picture of him smiling but I like this one best, the one where his eyes seem to say 'who are you? Could you be real?' One day when he's older I'd like him to see it and understand that even though certain things sound wildly impossible, you can still believe. That is the real magic after all.